eskimo wrote: ↑ Though it does feel like it could be played seriously and be good. Will provide some feedback when i can. Lol, very in depth explainations! Started work on a 3v3 map. top spawns are forced into a mini 1v1, a little on the chokey side. Bottom 4 are in a much more open area. Great, then let me know when you want me to list it in the OP ( http://www.sleipnirstuff.com/forum/view ... 035#303035 ) with a map name. Also, are you still working on this ? http://www.sleipnirstuff.com/forum/view ... 157#303157 If yes, do you have a link? If not, should I label it as abandoned ? The maps are intended to be sister maps. Aurora has an ore total of $239300. Top spawns are split from the bottom 4 to form a mini 1v1. 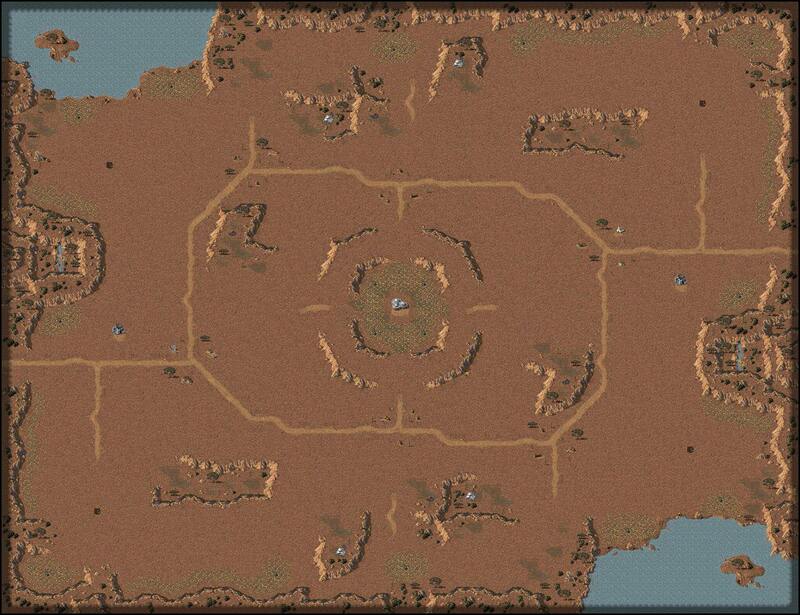 The top has a huge ore field in the center to fight over which will be hard to control without help from team mates. Even with help the odds are that area will be hotly contested. Each spawn has 1 safe oil and 2 to fight over. The bottom instead starts with a huge shared ore field with 5 mines ($34350). Each side has 1 safe oil and 2 to fight over initially, if someone chose to, they could capture 4 water locked oils derricks. Borealis Shares similar qualities to Aurora. Although it has less ore at $219800. Top spawns are again split off from the rest. All three oil derricks are contestable. 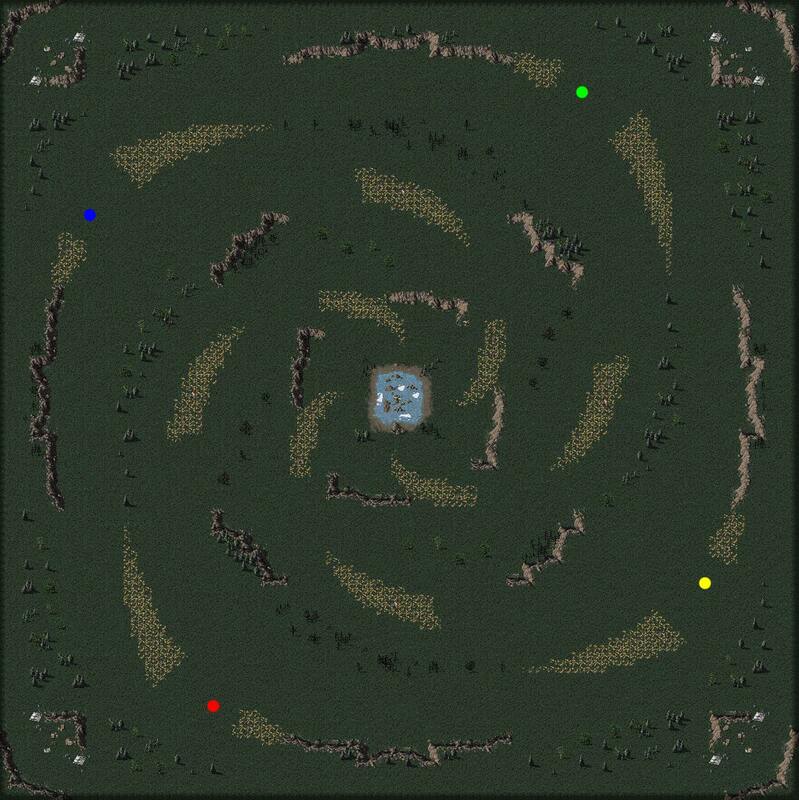 The top spawns each have access to a gem mine embedded deep within an ore field. The bottom spawns have 1 safe oil derrick each, 2 that are semi-contestable, and 3 that are highly contestable with the bonus of a hospital. The river puts pressure on 8 ore field from destroyers. t3 could potentially be a huge problem for the top spawns if the bottom doesn't support. FRenzy wrote: ↑ Great, then let me know when you want me to list it in the OP ( http://www.sleipnirstuff.com/forum/view ... 035#303035 ) with a map name. you can list scientifically mad as abandoned for now. If someone else wants to take it up let me know I can send the mapfile! River Borealis is fun to play and has a lot of sucess with players looking for good teamgame. I had some entertaining game on it. River aurora feels to linear on a general opinion of the players. We would like to see more map from you blackend, 3 v 3 or 4 v 4. I want to first say I love the general look of all your maps I've seen so far. However the ore amounts on them are insanely high. ~540k for burning fields as a 2v2. That's a little of 100k per player. With the huge ore field in the center removed there is still about 300k on the map. Compare that to Jungle Law(270k), river aurora(240k), river borealis(220k) and those are 3v3 maps! Slight aside from the topic at hand but same thing applies to 1v1. Right now in RAGL Ysmir and Dual Cold Front are probably the biggest eco maps at around 100k. Another Tomorrow has 1.5 times that at 250k but again I love the way Another Tomorrow looks! I'd like to see you make a map with a bit less ore and see how it turns out. I think a round of revisions is on the cards then to reduce eco to something a little more sensible. 184K starting ore (23K at the spawn per player) and 5+1 mines per player seemed enough in 1 FFA I managed so far. I've thought about refreshing the official map pool a bit, but my lack of teamgames playcount prevents me from objectively select good team maps. This thread has gathered a lot of nice maps around, so I'd welcome any suggestions for good maps to be included.